So, public service announcement, tomorrow is Daylight Saving Time. You know, that time when you have to help your clocks FALL back or SPRING forward. Now I’ve got to say that as far as time changes go, I guess the fall one is better. If you get up at 7 am, it suddenly feels like you get to sleep in an extra hour. But then there’s the fact that it gets dark super early making it difficult to walk the dogs after work and stuff, right? But dang if that spring forward doesn’t mess up my entire world. It feels like you’re losing an hour of sleep and that is just plain cruel. Either way my Mr. 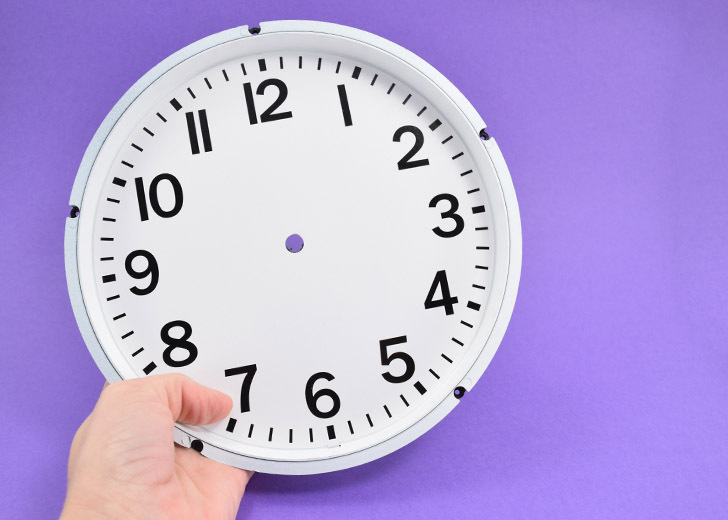 Rob gets all sorts of pissy when it is time change because he is super keen on a tight schedule for all things in his life and for that inconvenience alone I must insist that we figure out how to abolish the nasty business of moving the clocks in any direction. I mean, Finland is down with me. 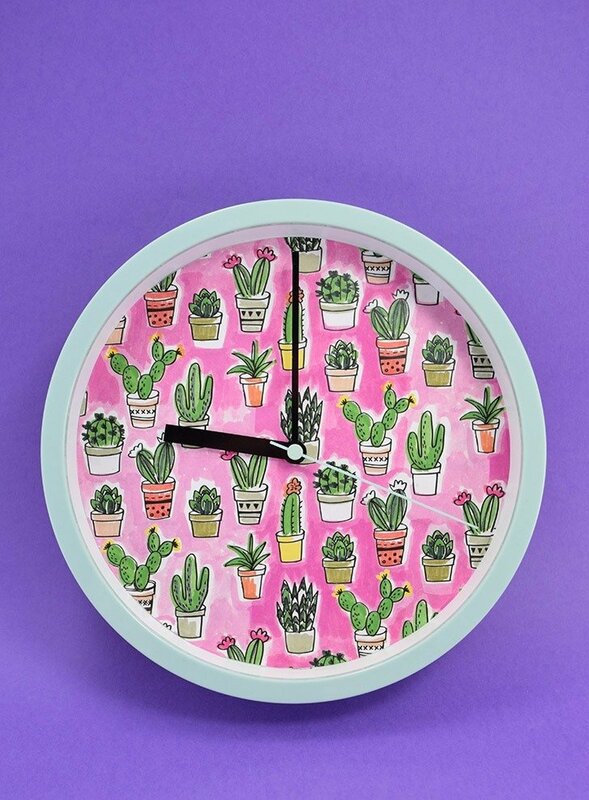 But I suppose if we must do this business then I might as well make us a cute new clock to push those hands back on. 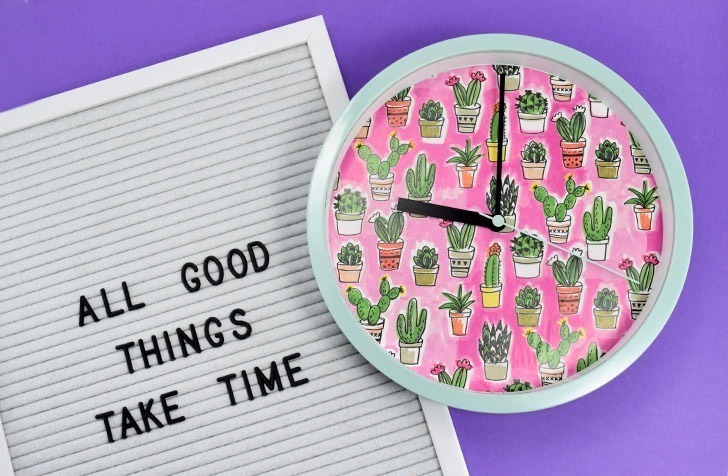 But anyway, a few weeks ago I was strolling through Target with no reason to be there other than to kill a little time between afternoon doctor’s appointments when I found this mint green clock. I loved it though it was a bit plain and bought it with the intention of DIY-ing it into something a little bit flashier. 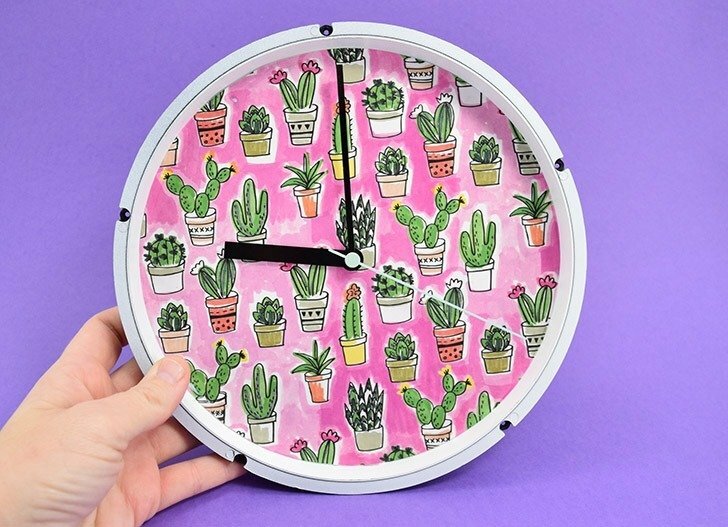 And since I love cacti, especially when I am actually capable of keeping them alive, this paper sang to me and now I have a clock that even Rob thinks is pretty nifty looking. 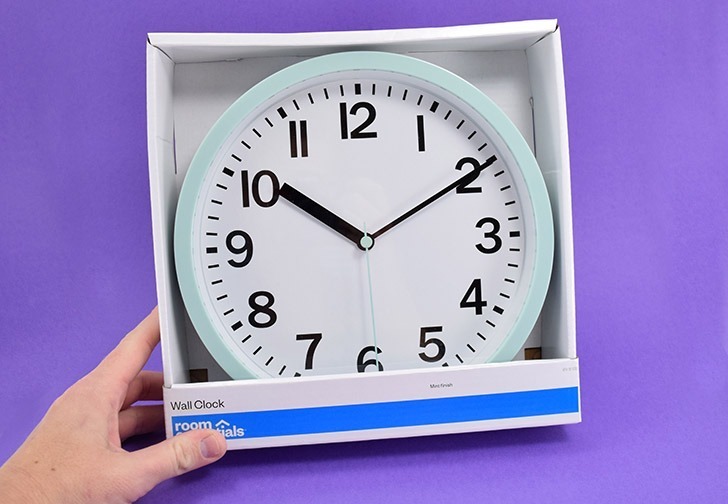 Want to see how to take a basic clock and update it to perfectly fit your personal tastes with a little bit of glue and paper? Let’s get it! 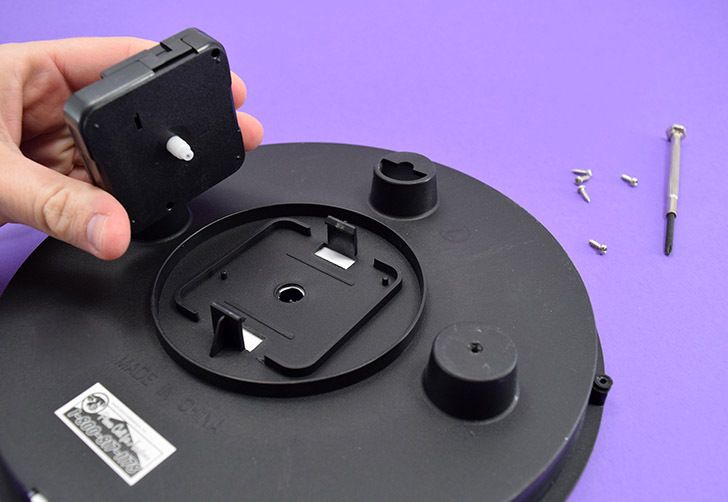 Using an appropriately sized screwdriver remove the screws from the back of your clock. 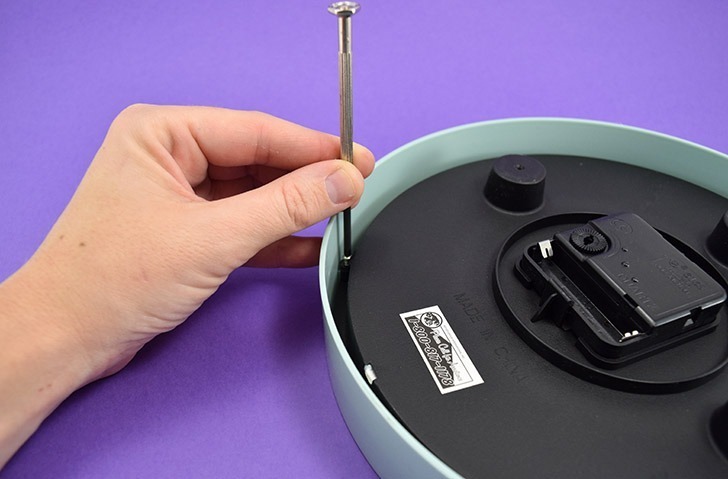 Place your screws someplace safe and pop the back portion up and out of the clock’s frame. Pull the top button straight up and remove it. FYI, it’s like a pin, very long and goes back into the clock’s motion mechanism so pull it straight up so you don’t bend it. This frees the hands so you can now remove them and set them aside. 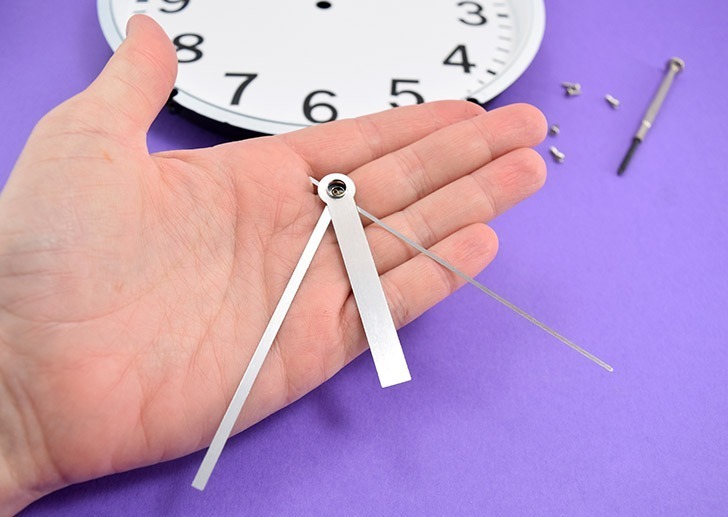 Pull the frame away so that you just have this part of your clock. 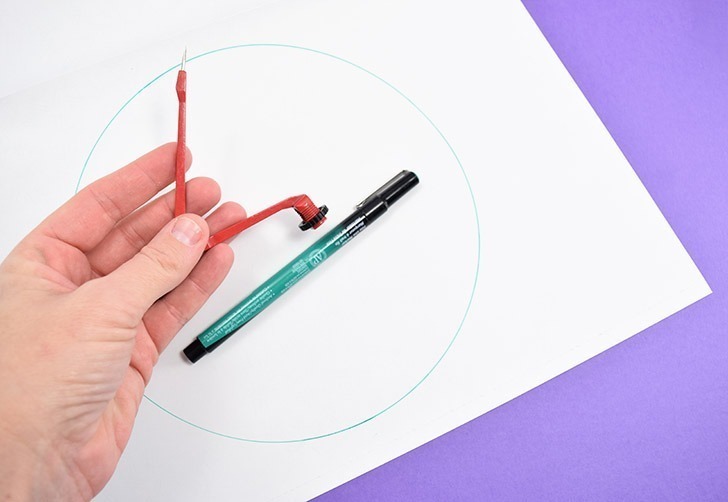 If you’re lucky there might be a cardboard piece that the clock face is actually on that pops out and skip the next 2 pics/steps, but if not you’ll need to measure the interior of the clock’s face for the diameter. 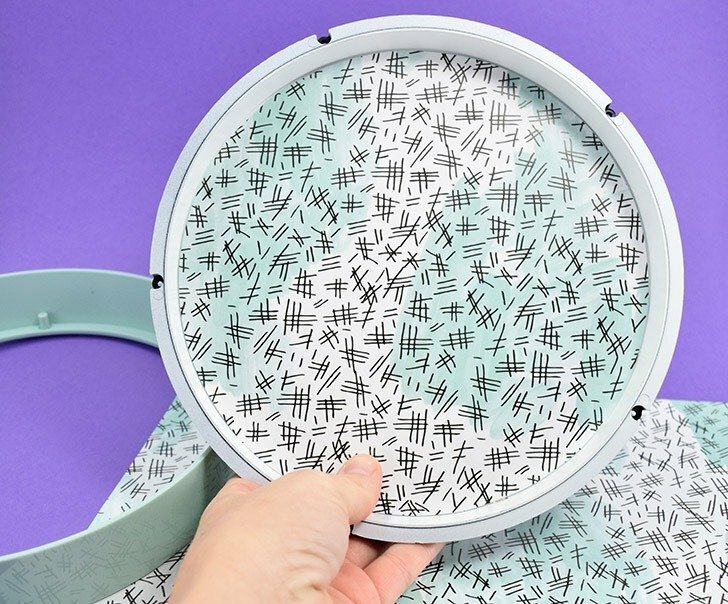 Using that measurement cut and a compass create a circle of your decorative paper to fit over the current design. My “rough draft” as it is was this paper that I loved but decided didn’t have enough color. But the principal is still the same! 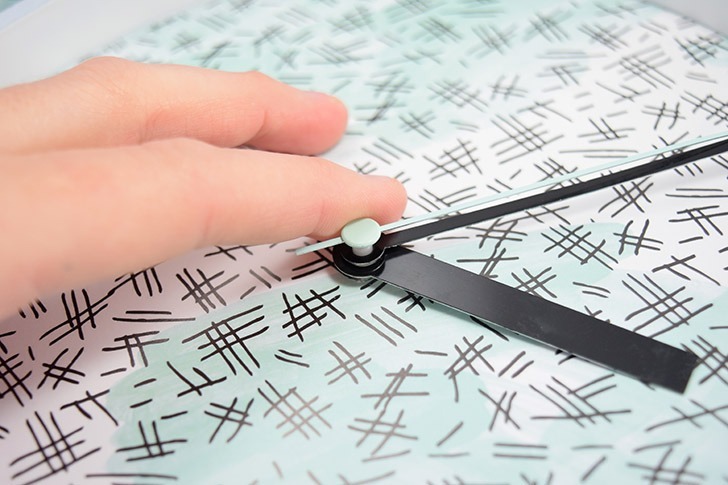 Test your paper cut out inside of the clock and make sure it fits. 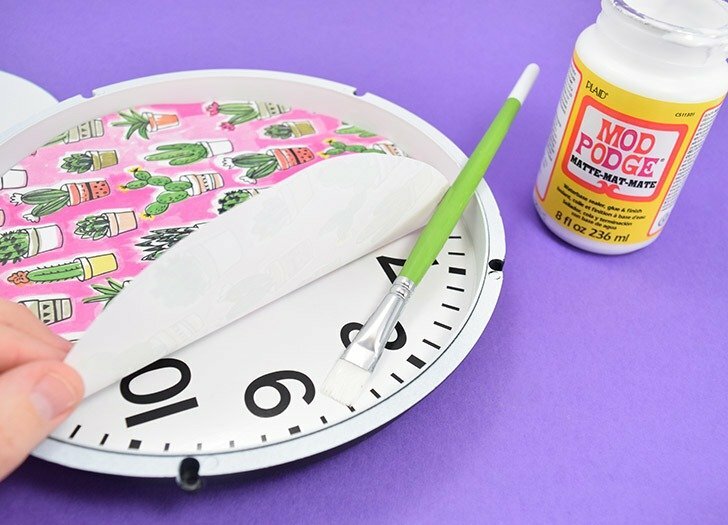 Apply a trace amount of Mod Podge onto a small area of the clock’s face and then apply paper to that area, moving to cover more and more bit by bit. Allow to fully dry. 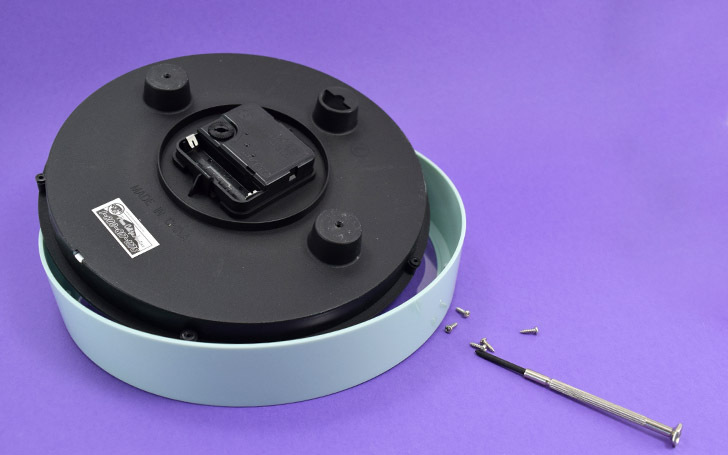 Mod Podge is also a sealer and works very well to ensure that all of your edges are fully adhered to the clock’s face. 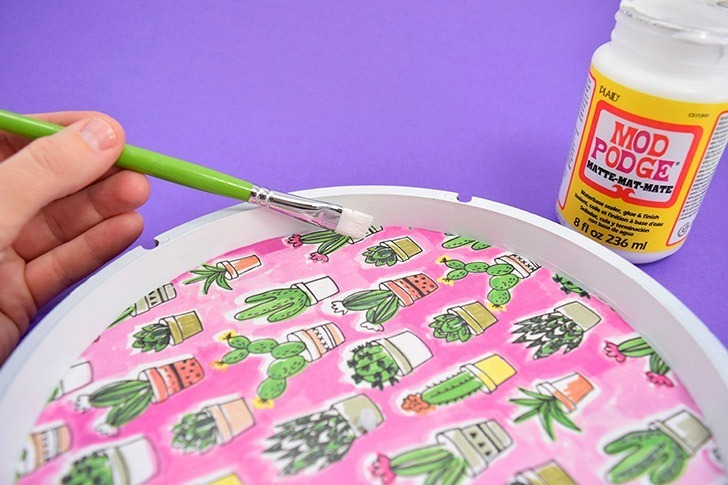 Brush a small amount onto the edge and push down with your fingers. Allow to dry again. Piece the hands back together as they came, pushing that pin back in through them and into the clock mechanism. And now I have a fabulous little clock to push the hands back for Daylight Saving time and you can, too! 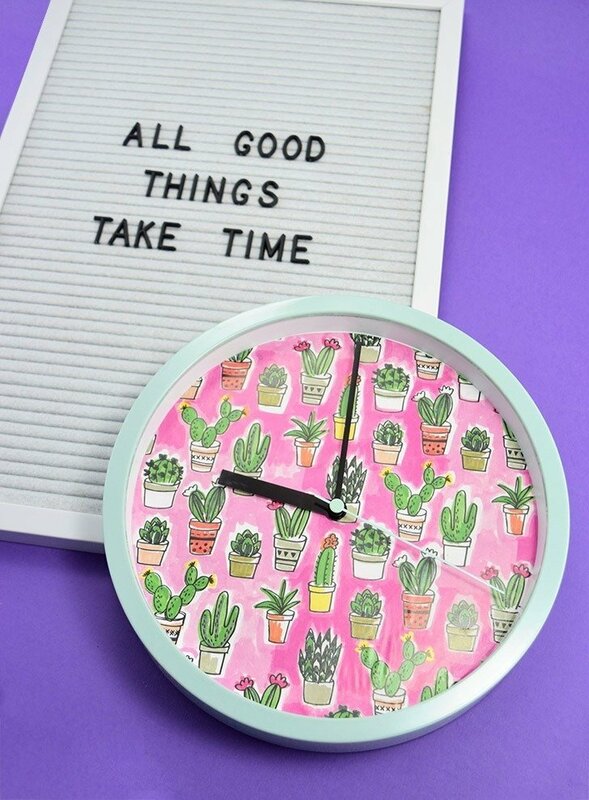 I have 2 clocks to do this to..the huge wall 1s…but was a little nervous about starting it but after seeing this I’m not *as*nervous😁😉 I think the hardest part now is picking out the paper/design I want to use lol. Thank you for sharing.